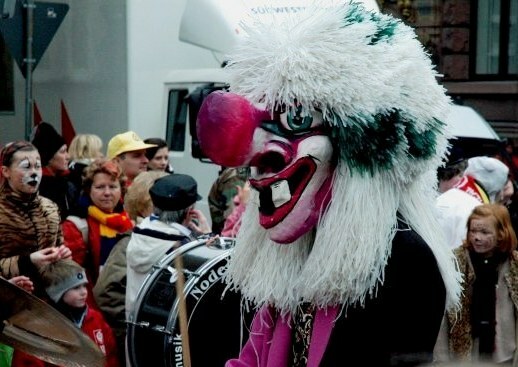 On Rosenmontag in Mainz the place is packed with locals and visitors, all in costume for the last big celebrations before Ash Wednesday when Lent imposes its more severe restrictions of frivolity. 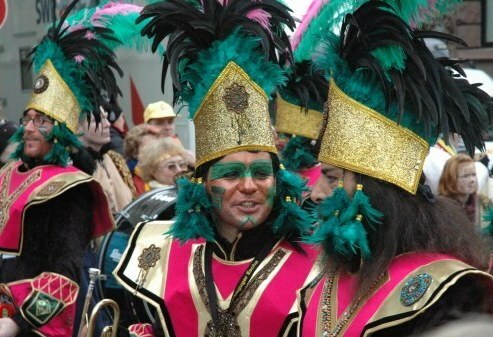 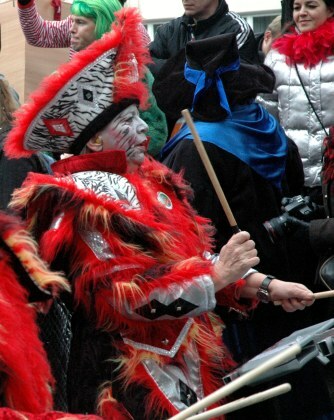 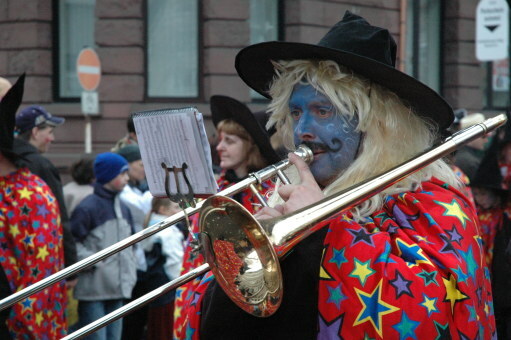 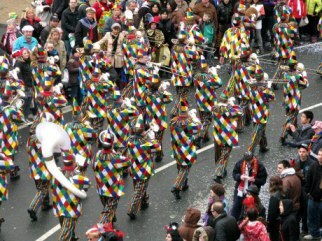 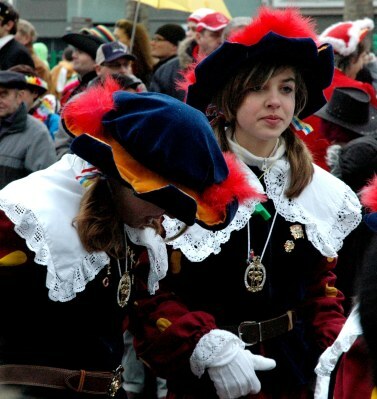 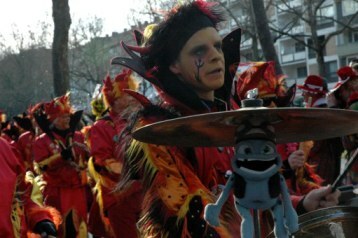 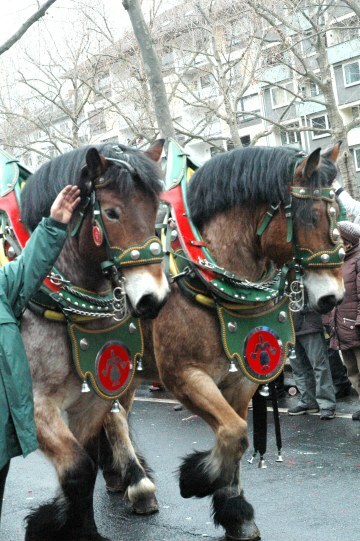 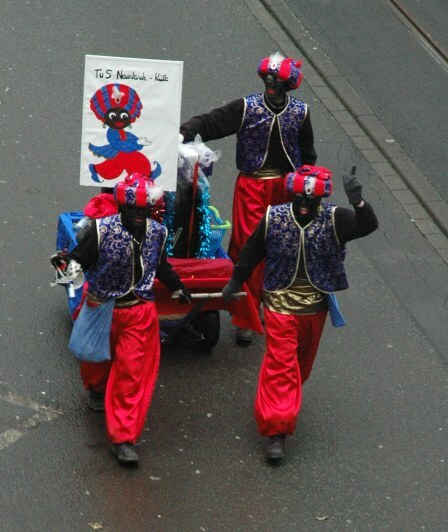 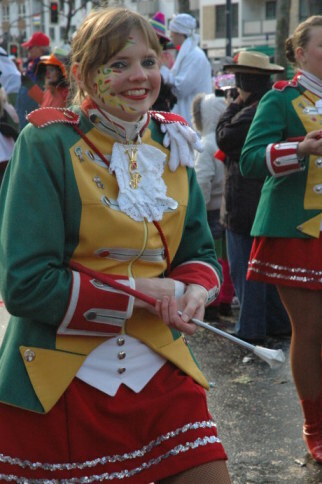 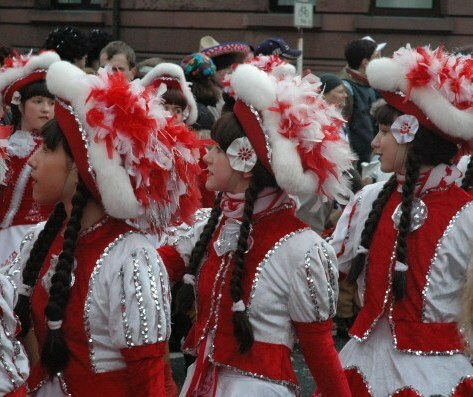 The Mainz carnival costumes of the parade itself are colourful…. 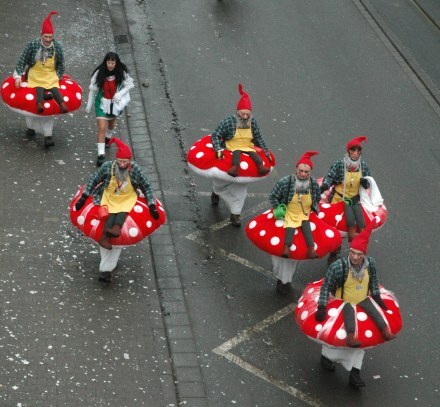 There were colourful elves who brought their mushrooms with them. 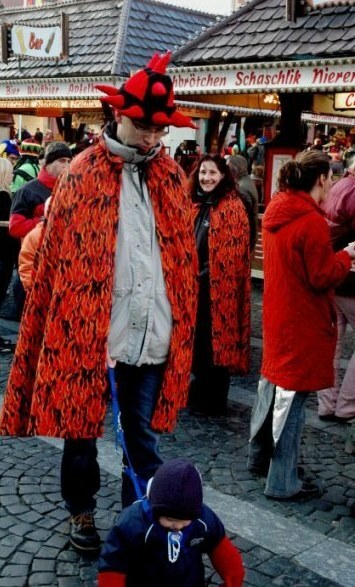 …and some are just cool. 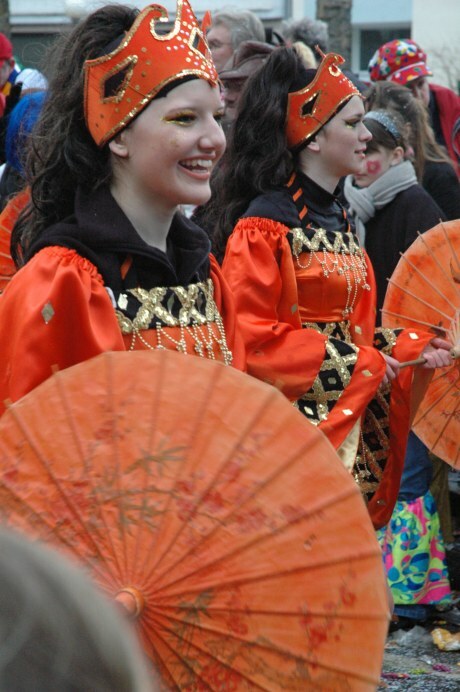 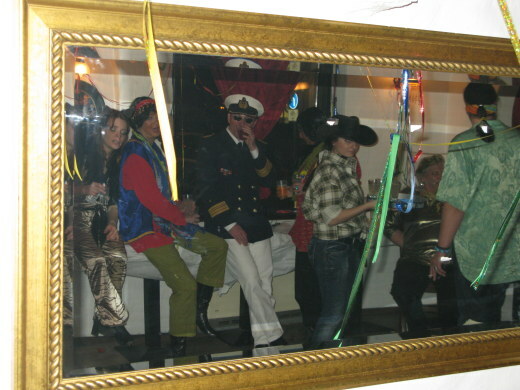 …but mostly there is a sense of pure enjoyment – often translated into spontaneous dancing to the band music. 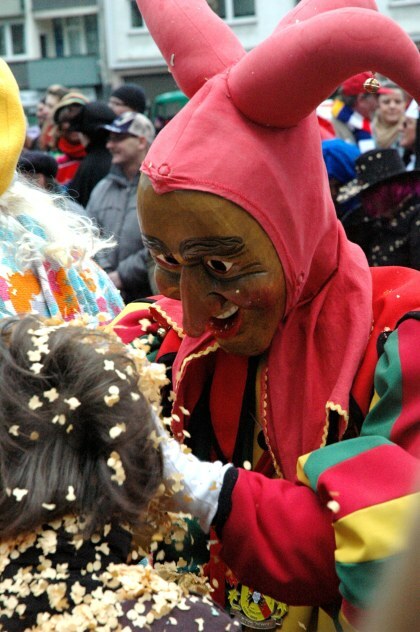 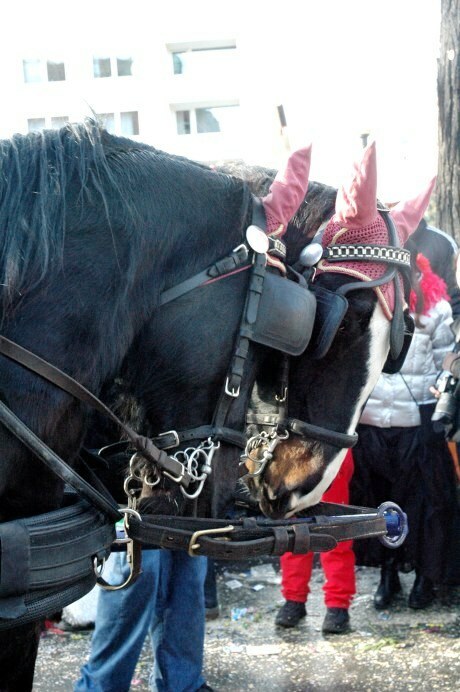 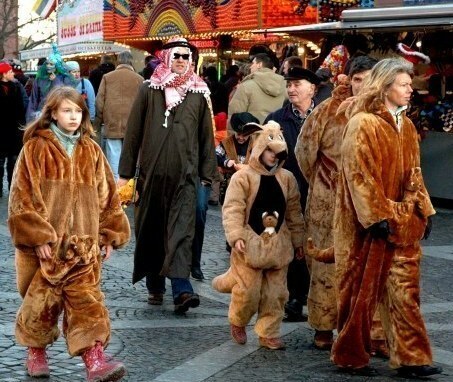 …or even one of Ali Baba’s thieves – this is the biggest day of celebration of Mainz’s 5th season, Fastnacht. 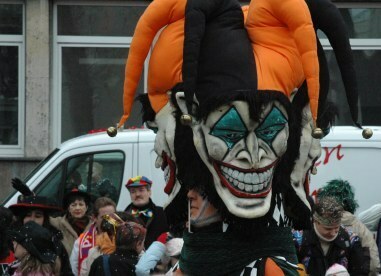 Mainz carnival costumes are seemingly limitless in the range of their creativity. 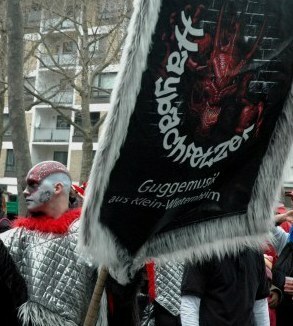 ...or marked with devilish delight. 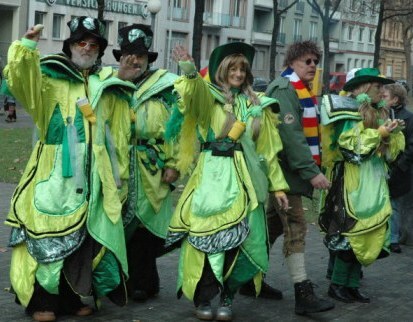 …Mainz carnival costumes all form the crazy kaleidoscope that is Mainz on Rosenmontag at the height of the 5th season. 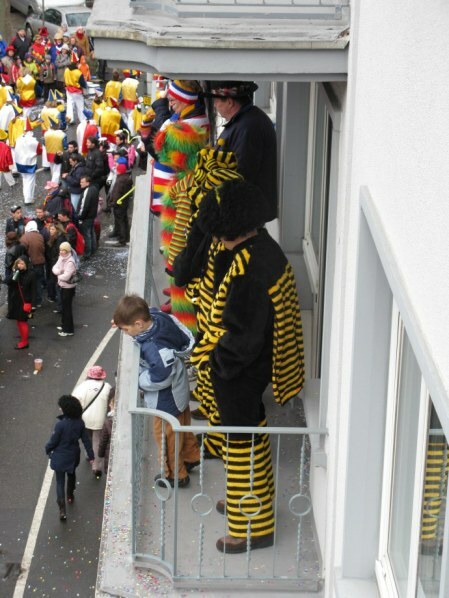 Some people are not overdressed- like these cavemen who walk the route every year, bared to the elements no matter what the weather on Rosenmontag. 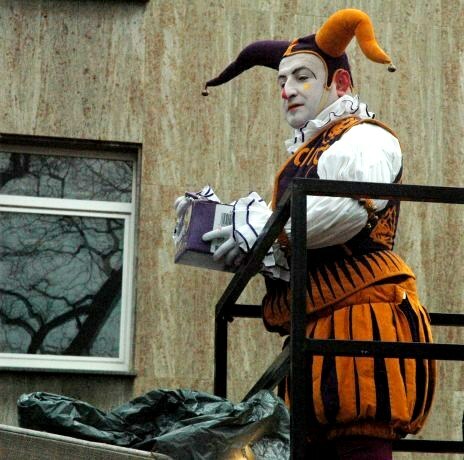 This is when locals head to their favourite bar. 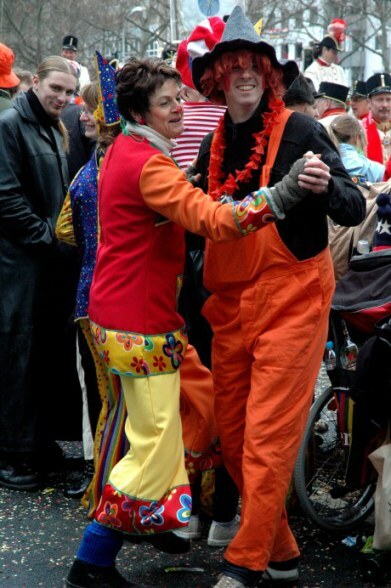 We did, until we could dance no more – and Rosenmontag was no more than a reflection of our happy memories of a day spent with friends, old and new, celebrating the 5th season of the Mainz year. 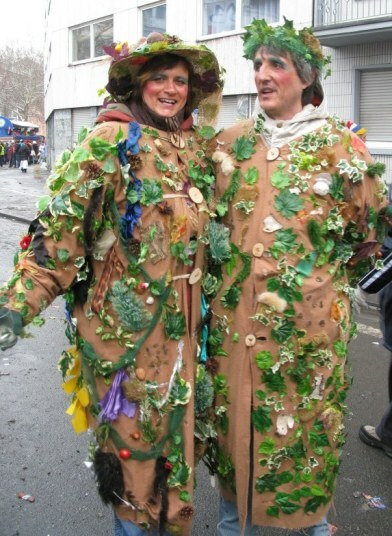 Thoughts were already turning to the Mainz carnival costumes for next year.